Martin Keown has predicted Liverpool to defeat Tottenham when the two sides meet at Wembley for the early kick-off on Saturday. The BBC pundit revealed that he believes the Reds would be Premier League champions when all was said and done so could envision them beating Spurs 2-1 in their next fixture. 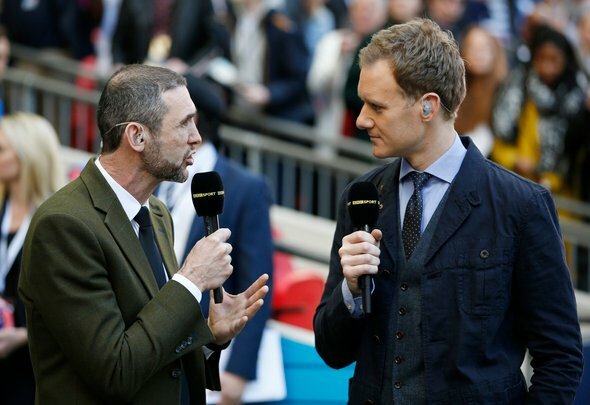 Keown acknowledged that Spurs beat Jurgen Klopp’s 4-1 at Wembley last season but admitted that the way the Reds have improved their game management will prove to be the key to their victory. “I can see Liverpool winning this 2-1,” wrote Keown in a Q & A session for the Daily Mail. “There is a wonderful partnership developing between Gomez and Van Dijk, Keita has added energy to the midfield and up front while Sadio Mane looks a man on a mission to outscore Mo Salah this season. “I’m backing Liverpool to be champions… so I think they will win this. “I know Tottenham won this game 4-1 last season but this will be a very difficult game. “Liverpool have improved the way they manage games under Jurgen Klopp and that will be key on Saturday. It seems the majority of pundits appear to be backing the Reds to make it five wins in five this season but it wouldn’t be a surprise if Spurs secured victory on Saturday. While Mauricio Pochettino’s side suffered a surprising defeat to Watford ahead of the international break, they have more than enough quality to end their Premier League rivals’ winning streak. In fact even though Keown dismisses last season’s 4-1 victory over the Reds, that shouldn’t be forgotten about. The Reds may have strengthen in the summer and even improved their game management like Keown suggested but fundamentally Klopp sets up his team the same way. This means that Pochettino might just know how to expose Klopp’s chosen system and it doesn’t matter if they’ve improved, Spurs will still have enough in their locker to defeat them. While Hugo Lloris as well as Delle Alli are set to miss Saturday’s clash, Pochettino knows that he has players chomping at the bit to impress him in their places, which could mean the duo’s absence doesn’t prove to be crucial.